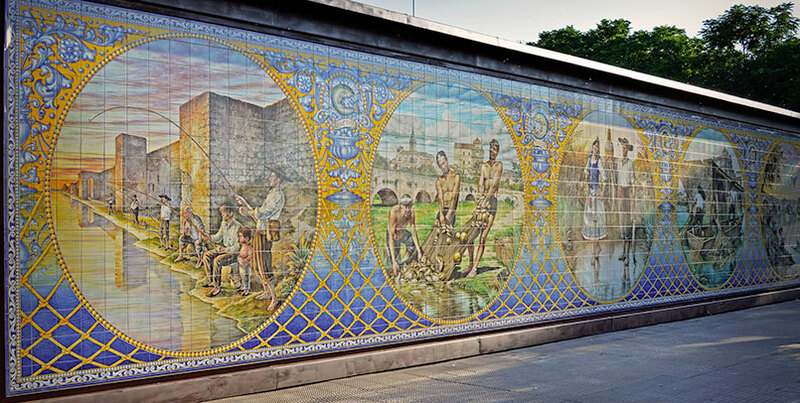 Since 2015 the city of Talavera de la Reina (Toledo) It has launched the project 'Path of Murals', an initiative aimed at promoting ceramics, the hallmark of the city. This route involves making eight murals that will be installed in as many locations of the town, each of a different theme. The most recent of these will be possible thanks to the participation of Vettonia Safety and Security Asergrup, that collaborate to carry out the work. This eighth mural borne by the talaverano ceramist Nicholas Varas, and will be dedicated to sport, with Discóbolo Miron main figure. With a size of more than 20 square meter, It will be mounted on the front of the sports hall José Angel de Jesus Encinas next September. The commitment of both companies materialized last day 12 March with the signing of a collaboration agreement by Jaime Ramos, Mayor of Talavera; José Luis Montes, representative of Vettonia, and Felix Garcia-Barroso, Security manager Asergrup. The first route murals (the Los Pescadores), It was funded in 2015 through a system of crowdfunding among the residents of the city, and since then they have joined this cause companies like Ferrovial and FCC-Aqualia Services.